Hardcover, 10 x 13 in. / 148 pgs / 70 color. 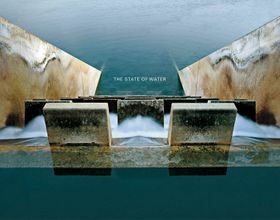 Chicago photographer Brad Temkin (born 1956) brings attention to the visual and ecological beauty of the transformation of water, by showing the structures and processes that most people do not even think about. Most storm water runoff is considered waste, yet more than 700 cities reclaim and reuse wastewater and storm water with combined sewer systems, recycling it for agricultural uses and even drinking water. As we mimic nature and separate the impurities like sludge, salt or chemicals, a transformation occurs. 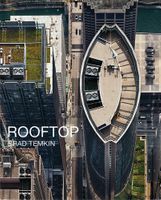 Temkin believes it matters less what each structure really is used for, or whether the water pictured is pure or waste. 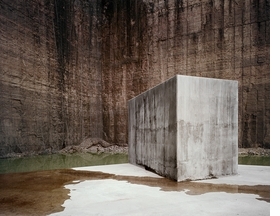 He is drawn to the strangeness of these forms and the distorted sense of scale. Moving beyond mere description, he embraces the abstract and surreal landscape of water transformation. Temkin has received a Guggenheim Fellowship for his work, which is collected in museums throughout the United States. FORMAT: Hbk, 10 x 13 in. / 148 pgs / 70 color.